Jean Carol Jones, 83, passed away peacefully on Tuesday, February 5, 2019 at Wayne UNC Healthcare. Jean was born in Wayne County on July 21, 1935 to the late Joseph Eddie Jones and Emily Leona Beamon Jones. She was a member of Providence United Methodist Church. 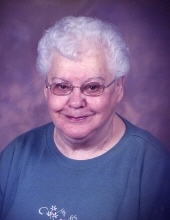 Jean enjoyed life and got great pleasure when working on puzzles or crocheting. The family will receive friends on Sunday, February 10, 2019 from 1:00 – 2:00 p.m. at Seymour Funeral Home followed by a service to celebrate Jean’s life at 2:00 p.m. in the chapel with Pastor Allison Lancaster officiating. Interment will be on Monday, February 11, 2019 at 10:00 a.m. in Wayne Memorial Park. Jean is survived by her nieces and nephews, Edward Jones and wife Deborah, Sharon Ackiss and husband Warren, Greg Jones, Carolyn Thompson and husband Lee, Ellen Grice and friend Ed, Kenneth Jones and wife Myrna, Ann Letts, Emily Smith and husband Albert, Robert Jones and wife Diana, Susan Odum, Robert Odum and wife Holly, Michael Jones and wife Nancy, Wayne Jones, Rhonda Souder and husband Tony, Wendy Millard, Robin Overman, Sandra Hatch and husband David, JoAnn Albertson, James Hardy and wife Edna, and Ricky Liles. The family would like to extend a heartfelt thanks to Laura Anderson, the director of Rolling Ridge. To send flowers or a remembrance gift to the family of Jean Carol Jones, please visit our Tribute Store. "Email Address" would like to share the life celebration of Jean Carol Jones. Click on the "link" to go to share a favorite memory or leave a condolence message for the family.